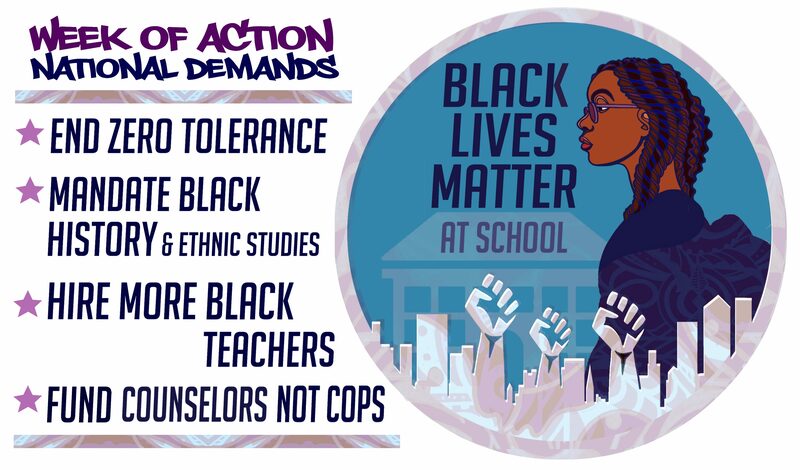 During the 2018 Black Lives Matter At School week of action, we held the first national student challenge with the prompt, “At a school where Black lives matter we…” and students were asked to use their creativity to answer. For the 2019 week of action, we will be holding a similar challenge, so stay tuned for the prompt. Kaleidoscope Club is a after-school learning club centered around equity and inclusion. This week we had a discussion on the 13 principles of Black Lives Matter, and why this movement is so important. Our entire club, which consists of Kindergarteners, 1st, 2nd, and 4th graders, participated in the national challenge question and wanted to share their artwork with you.